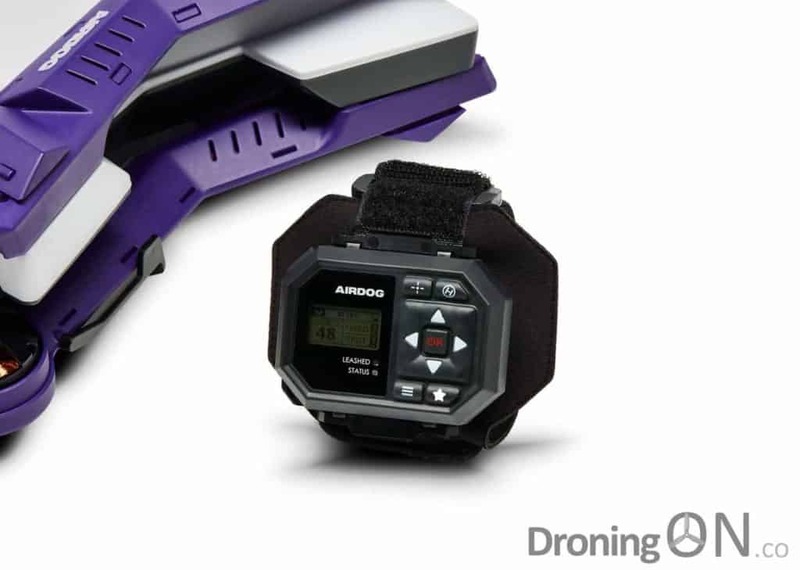 In 2015, AirDog hit the market as one of the first sports-dedicated tracking drones. 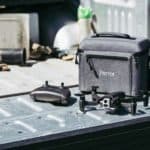 The company has been fairly quiet since and the product has simmered in popularity, but ADII has joined the product range as their latest drone offering. The original AirDog drone was funded via crowd-funding and the small Latvian company has just done it again by fully funding their second Kickstarter crowd-funding campaign. 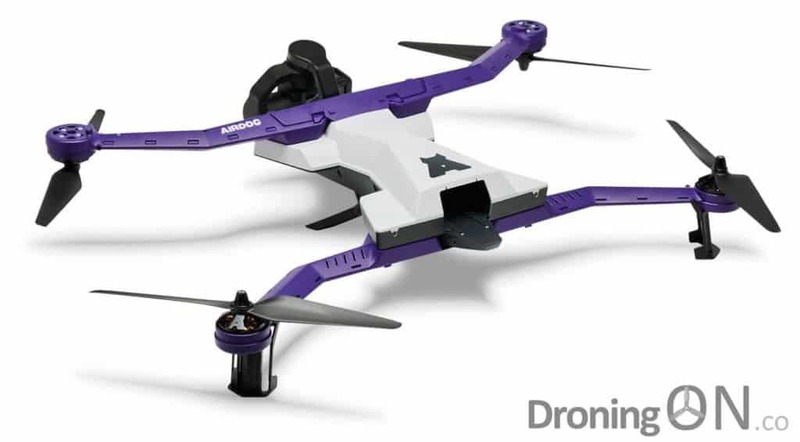 A total of $303,588 was raised via 256 backers allowing AirDog to move their new ADII drone in to production. The original AirDog model, launched in 2014/2015 and funded via a Kickstarter campaign. 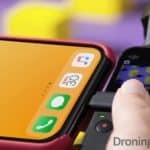 Since launch, AirDog appears to have struggled to compete with drones such as the DJI Phantom and DJI Mavic range, its popularity and excitement around the concept since initial launch has waned as the ‘Follow Me’ technology has improved generally amongst other more affordable drones in the market. The design of the new model is almost identical to the original, besides a colour change. 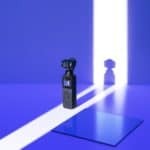 The more notable physical hardware change is the introduction of a 3-axis gimbal, replacing the illogical 2-axis gimbal of the original in order to provide mechanical stabilisation of the yaw axis, key to silky-smooth footage. The arms of the AirDog ADII expanded and ready for flight. ADII also has more focus on ‘scenic capture modes’, making this new drone less of an action-only aircraft and allowing it to compete with drones such as the DJI Mavic. Modes provided with this new model include ‘Reveal In’, ‘Reveal Out’, ‘Top-Down’, ‘360 Panorama’ and ‘Circle Around’, all of which can be triggered at any time via the wrist-worn ‘Airleash’, a wireless controller. Capturing video via the GoPro (which must be purchased separately) is said to be available for remote triggering whilst the aircraft is in flight, compared to the original model where it was necessary to commence recording before take-off. 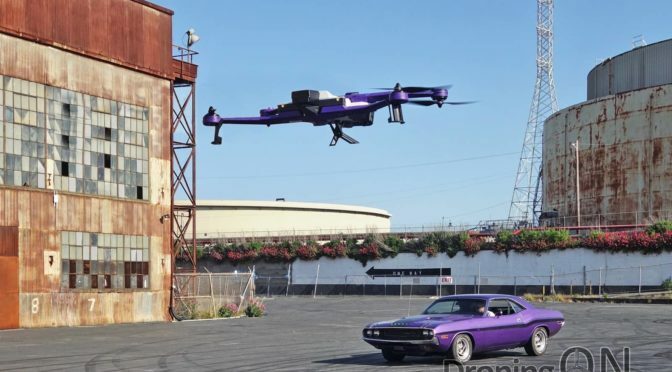 It is not known whether the new remote control features for the GoPro camera extend to camera settings such as resolution, ISO, exposure and shutter speed, without which the AirDog cannot compete against the DJI Mavic for video/photo capture. Uprated/strengthened landing gear to improve impact-resistance and durability. Simplified prop fitment via printed icons. Newly designed GPS, Magnetometer/Compass, Barometric Altimeter and CPU processors. Redesigned battery with rear-facing LED lighting so as to be visible without removing the battery. Updated 5550mAh Li-Ion battery (previously 4000mAh Lithium Polymer). Newly backlit Airleash screen and optimised interface/menu structure. Top speed increased from 40mph to 45mph. Weight increase from 1.8kg to 2.0kg. Airleash range decreased from 1000ft to 500ft (according to comparison between original and new Kickstarter specifications). Operational ceiling increased from 3000m to 3500m (above sea level). 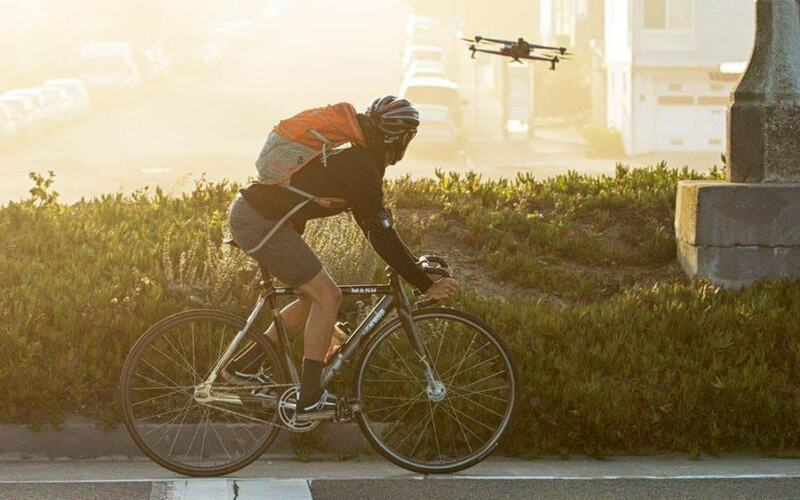 The new AirDog ADII can be used for capturing scenic shots. 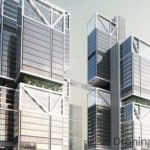 Key considerations from the above specification changes are the revised batteries, changing from Lithium Polymer to Lithium Ion. Li-Ion is far more suited to colder operating environments and therefore this change will appeal to ski and winter-sport users, particularly when coupled with the operational ceiling increase of 500m (likely to be due to the Li-Ion change). The top speed increase by 5mph will be of interest to action enthusiasts, however the Airleash range limitation of only 500ft may concern some. The weight change of 200g is likely due to the revised internals, but offset by optimised/newer motors and speed controllers. 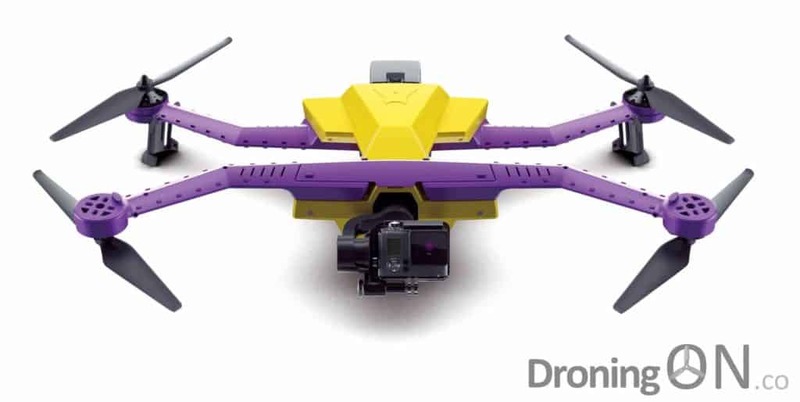 The base price of the AirDog ADII at $1,299 matches the price of the DJI Mavic Combo ‘Fly More’ set of which many more accessories are bundled, including spare batteries. 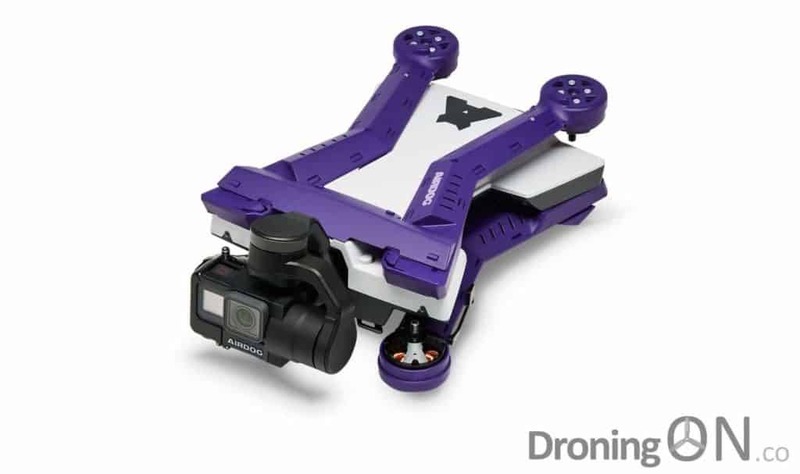 Equally the AirDog bundle does not include the GoPro camera which must be either owned already or purchased separately. The new AirDog ADII folded up and ready for transport, but the size of the drone has unfortunately not reduced. The tracking technology of the DJI Mavic has always been in question with ‘ActiveTrack’ subject to bugs and quirks. The traditional ‘GPS’ follow-modes provided in DJI drones have always struggled to maintain the subject in center frame. 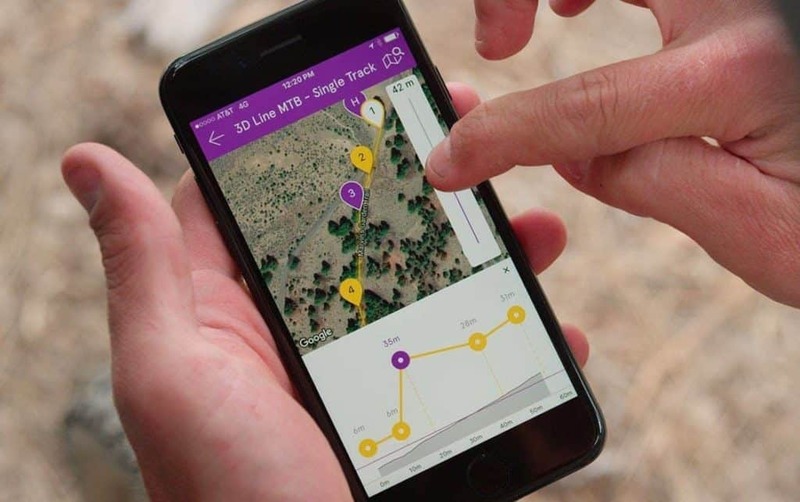 AirDog is said to provide better tracking via its 3D path software enhancement, but this must be pre-defined prior to flight which may put off sports enthusiasts whom simply want to fly. The sensors within the Airleash are said to optimise the framing of the tracking subject. The new AirDog ADII can be programmed to follow a set path via waypoints. AirDog unfortunately does not feature obstacle avoidance (besides downward-only facing Lidar) and so if left to follow autonomously and encountering a tree in its path, it will crash, whilst the DJI Mavic will do its best to navigate around and resume tracking. 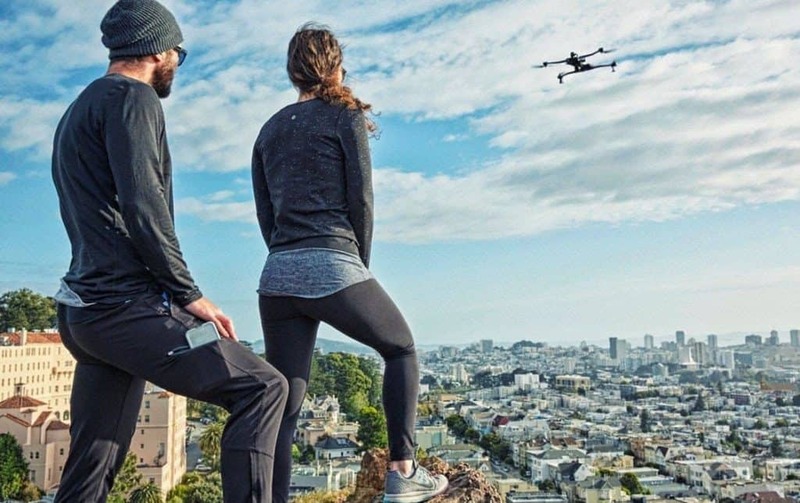 Overall, ADII is an expensive option after the cost of a GoPro is added to the base price, but this drone is designed specifically for sports and the weatherproofing (which the DJI Mavic does not have) will help to justify the additional cost. The new AirDog ADII provides a range of tracking shots to capture a subject in motion. 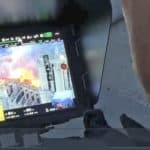 ADII is yet to be finalised and production models are only now being engineered, therefore time will tell as to whether this new model from AirDog can succeed in pushing aside DJI as the market-leader for action and photographic drones. The campaign was funded with ease and therefore consumer confidence and trust in AirDog is clearly high, that alone is positive and suggests that consumers of the original model are largely responsible for funding the new version. ADII may also provide as an alternative to the consistently-delayed ‘Staaker’ drone, which is still struggling to move towards production. We have asked AirDog for a review model, watch this space for the latest news.